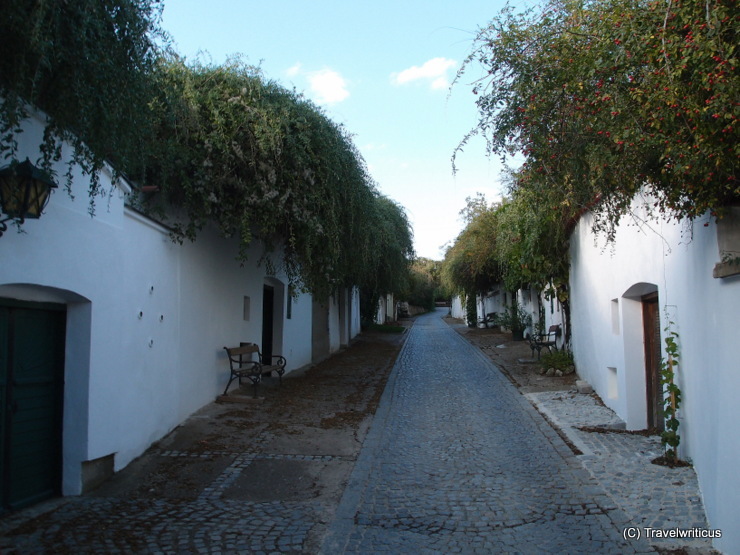 This lane is one of several wine cellar lanes (Kellergassen) in Poysdorf. It is actually a hollow-way with a couple of rooms built into a loess layer. These rooms have only a front façade, but no brick walls or a timbered roof. 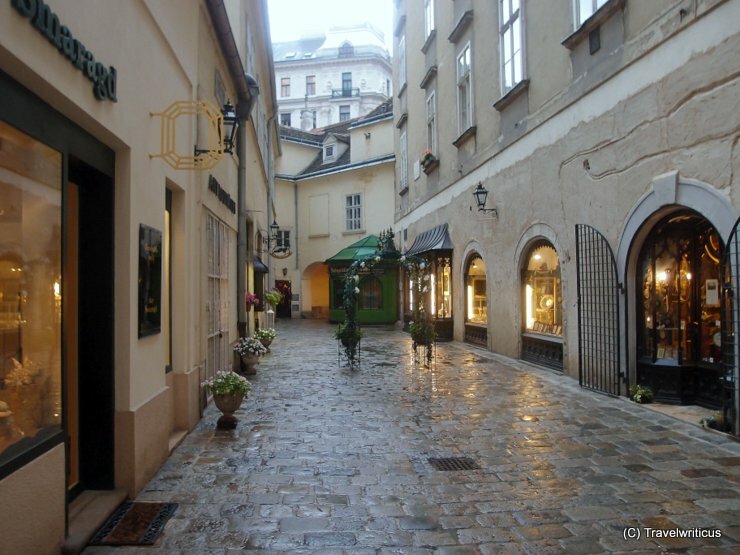 Once upon a time some parts of Austrian lanes were paved with clinker bricks produced in Schattau, the Czech Šatov of today. 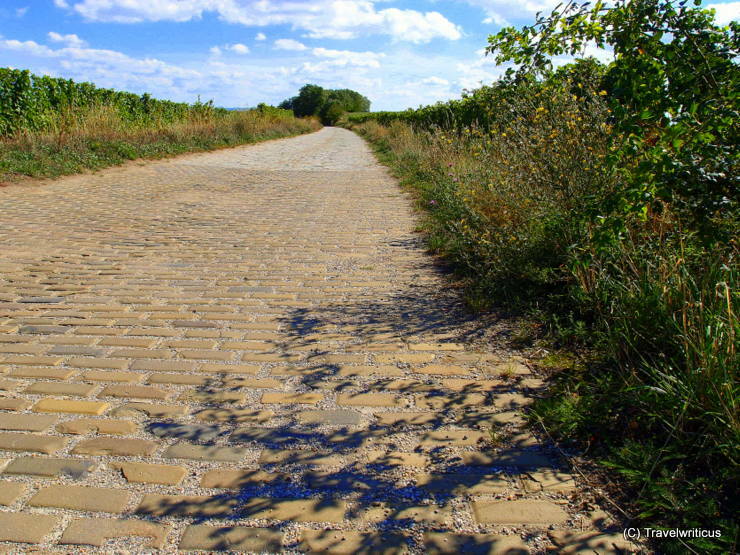 In Poysdorf and surroundings there are still such lanes with these typically yellow bricks (Schattauer Pflaster). The wine cellar lane Kirchengasse next to the parish church of Poysdorf was originally not a hollow-way but a defensive ditch for the fortified church. 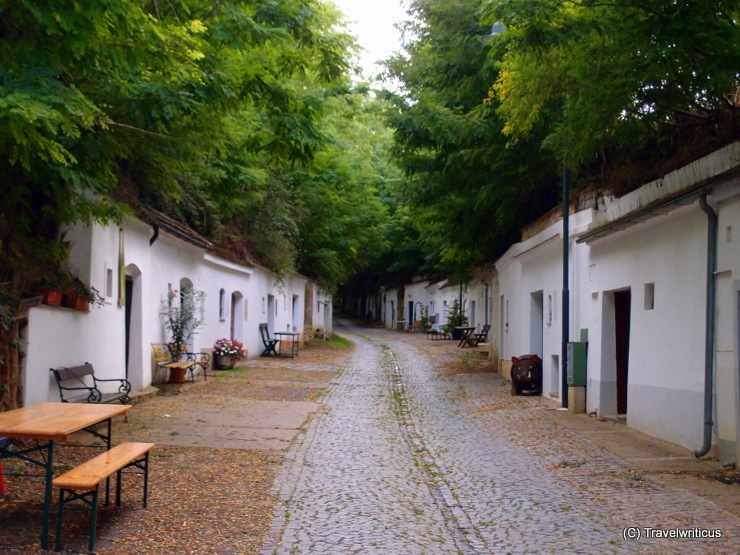 View of the Radyweg, which is considered to be the longest wine cellar lane (Kellergasse) of Poysdorf. 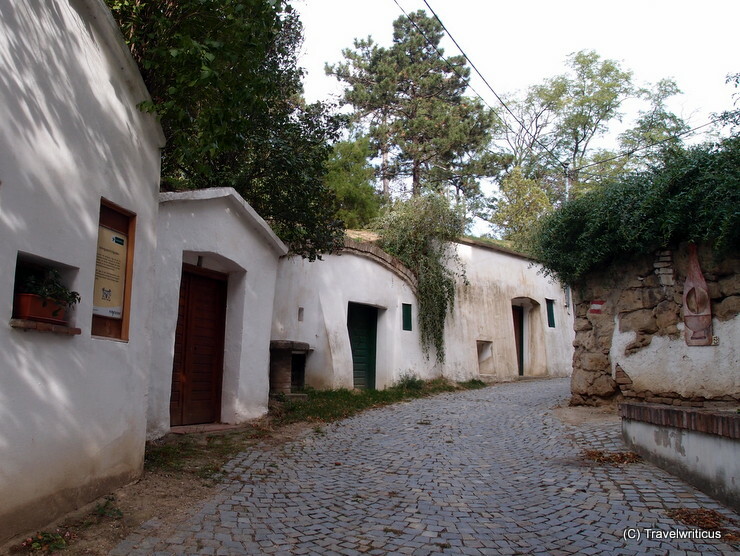 In earlier times the buildings were used as wine cellars or wine press houses. During a guided tour I was told the lenght of all cellars in Poysdorf sums up to 60 kilometres! 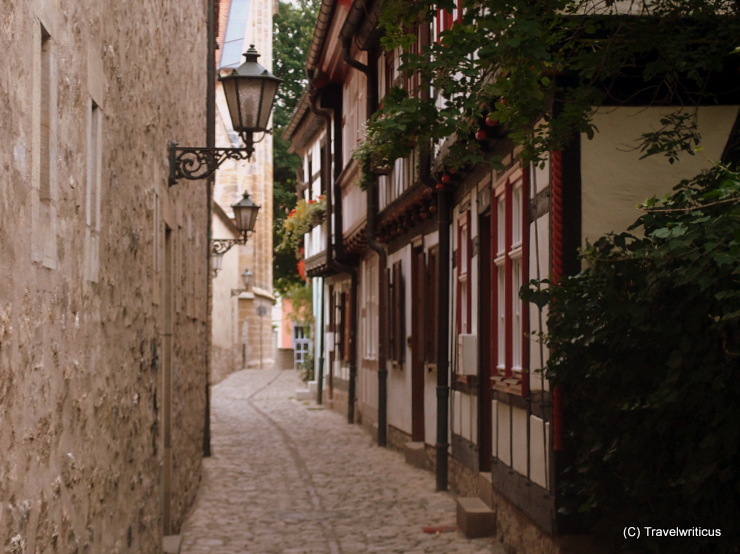 This romantic lane in Erfurt named Kirchengasse is located next to the monastery of St. Augustine (Augustinerkloster) where Martin Luther stayed as monk in the years 1505-1512. 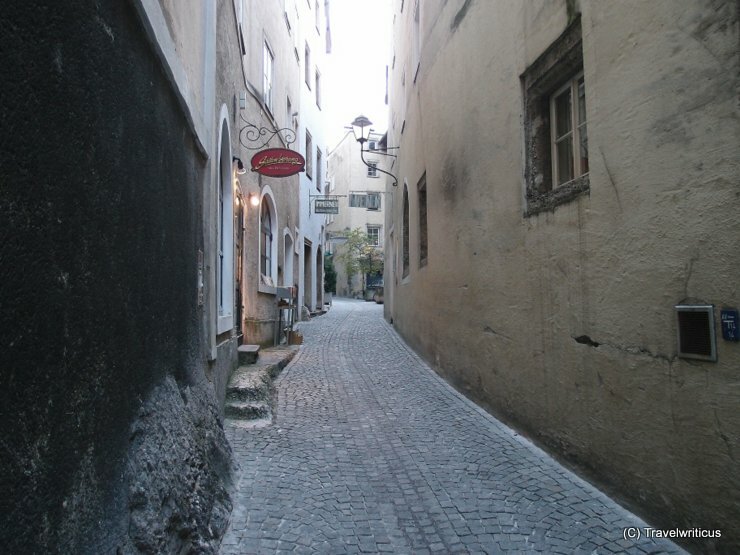 The Steingasse in the city of SaIzburg is a pretty old street. 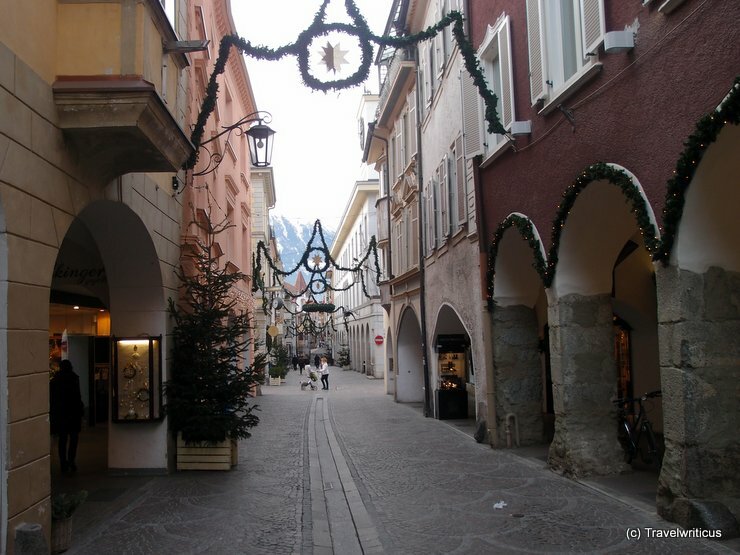 During ancient Roman times it was a trade road connecting Iuvavum (Salzburg) with the south of the Roman Empire. The buildings on the left side are attached directly to the rocks of the Kapuzinerberg Hill which creates some fascinating views along the street.